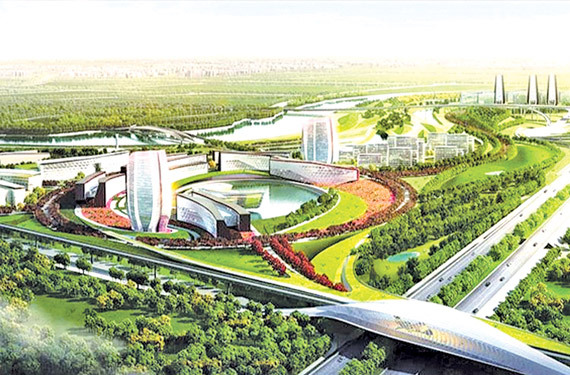 The Sri Lankan government is planning to convert Galle, Jaffna, Trincomalee, Anuradhapura, and Kandy into major highly developed mega cities in addition to the proposed western province megapolis project, Ministry of Megapolis- Western Region Development, Secretary N.Rupasinghe said. The government aims to position Sri Lanka among rising Asian economies by creating highly developed cities to power the large- scale growth. He said megapolis are now creating rapid growth and change and urbanization plays a key role in developing the megapolis concept. Under the megapolis programme, the entire Western Province will be a megapolis area by 2030, which ensures equal opportunities for every citizen under this project. Currently ,Western Province accounts for nearly half of the nation’s economy. The plan is to build a regional business and financial hub, complete with high-rise developments, recreational areas and shopping districts. However, the most important thing is the protection of the environment, water resources and other needs for the well- being of the society, he said. The major challenge directly related to the megapolis project is to execute the project without causing harm to environment. Our aim is to complete the ongoing work in December and obtain the government approval for the implementation of the project in the next five years. Priority would also be given to develop transport, waste management and urban regeneration projects.